College Application Month success story: Tarique Scott from Andrews High SchoolTarique Scott took advantage of College Application Day 2014 at his high school and applied to Coastal Carolina University and utilized the assistance from staff and application fee waiver. We are happy to announce that he will be attending Coastal Carolina University in the Fall 2015! 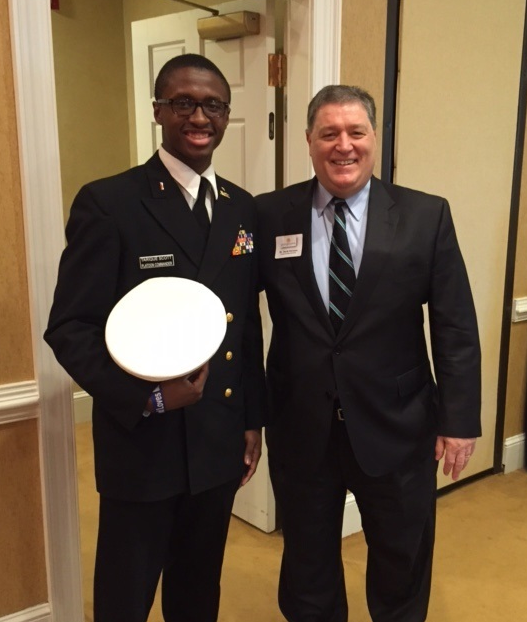 On February 11, 2015, Tarique was part of the JROTC presenting the Colors at the Georgetown Chamber and Waccamaw Regional Education Center’s “State of Education” event. 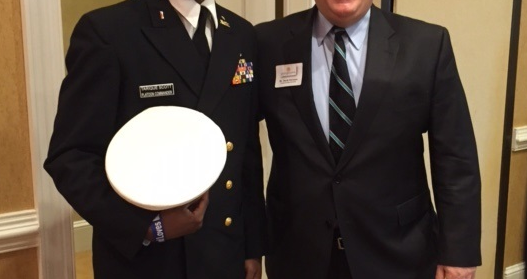 There is where he met CCU President Dr. David DeCenzo! We are so proud of you Tarique and congratulations to you!